A State House statement said the President has directed that the money be used to expand a portion of the city centre-airport road. The decision aims at easing traffic congestion on the road, particularly during peak hours. 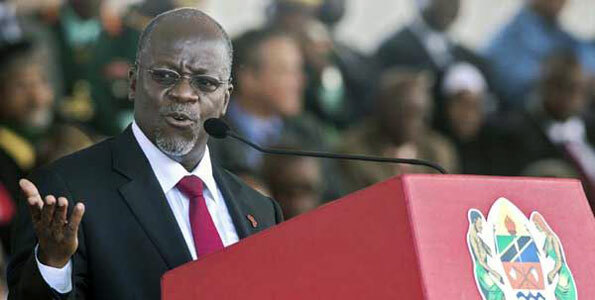 “Following the cancellation of the celebrations, the President has directed that the money, which was to have been spent on food and drinks as well as paying allowances to those who would have been involved in the parade, be used to expand the Mwanza-Airport road,” the statement said. However, April 26 will be a public holiday as has been the norm. This is the third time President Magufuli has cancelled national celebrations since he was sworn in last November. He cancelled the December 9 Independence Day celebrations and directed that the Sh4 billion which would have been spent in organising the event be used for the expansion of the 4.3-kilometre section of Ali Hassan Mwinyi Road from Morocco junction to Mwenge in Dar es Salaam to ease traffic congestion. He also asked Tanzanians to mark the 54th anniversary of Tanzania Mainland’s independence by cleaning their surroundings. Dr Magufuli also cancelled World Aids Day celebrations to reduce unnecessary government expenditure. He directed that the money saved be used to buy drugs for people living with HIV/Aids.